Exercise classes for senior dogs is a thing in Calgary, and it’s based heavily on techniques used for their two-legged counterparts. Exercise classes for senior dogs is a thing in Calgary, and it's based heavily on techniques used for their two-legged counterparts. 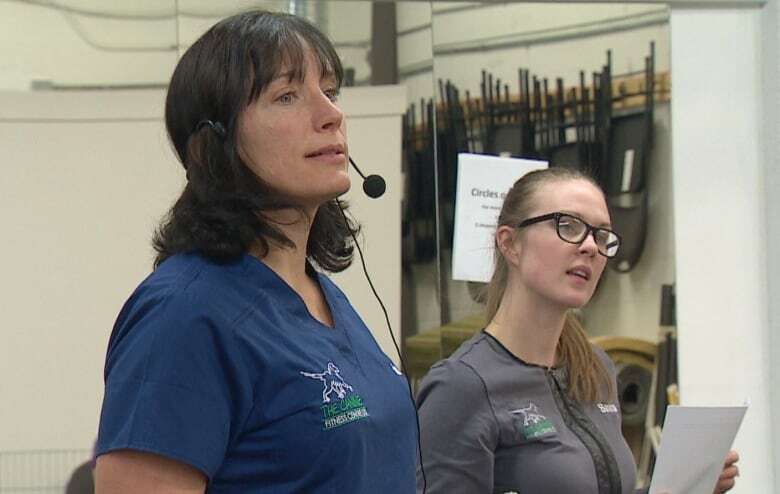 "I think owners feel helpless when they see their dogs start to struggle, maybe slip out on the ice or the hardwood floor and they can't maintain their balance," physiotherapist Sue Van Evra told The Homestretch. "There is so much you can do to improve their function and their quality of life." Van Evra works with The Canine Fitness & Care Centre to help owners with older dogs ease pain and increase flexibility. She's a human physiotherapist who is also certified to work with animals. 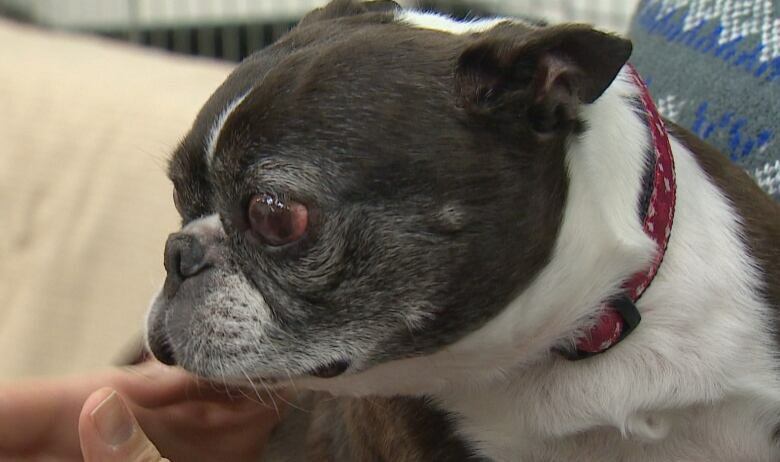 "In one class, we cover the neck and front end and what to look for if your dog might be experiencing pain in the neck," she said. Signs might include bobbing their head or holding it lower than usual, or not looking up when it's treat time. 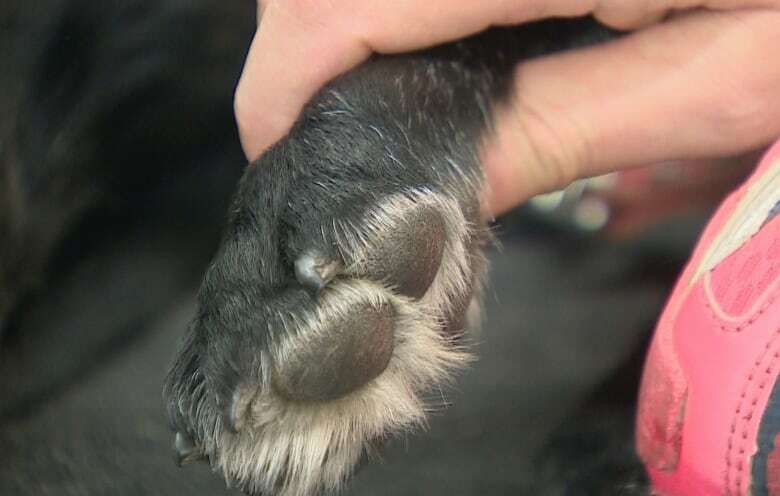 "If they are licking or chewing at any of their paws, it can be a sign that they have numbness and tingling down their limbs, if they have a pinched nerve, that kind of thing," Van Evra said, of other signs to be aware of. "We go over some stretches for the bicep muscles, the lats, the big muscles that cross the back, and how to maintain range of motion of the front limbs." Sandra Oxtoby is a registered physiotherapist who is trained to work with dogs and horses. She says sometimes you can exercise your dog without your dog even knowing it. "Do a three-legged stand with your dog," Oxtoby recommends. "If your dog wears booties and you have to lift the leg up to put the booty on, maybe take an extra 10 seconds or so to keep that leg up, and the dog doesn't even know they are doing an exercise. But in that time, they are trying to balance, their posterior muscles are activating, their abdominals, their reflexes, their limbs are getting that feedback from the ground." Try a technique she calls "around the world." "You pick up right-front, right-hind, left-hind, left-front. If there is one leg that is way harder to pick up, the problem may not be with that leg, but the weight shift onto the other leg." Awareness of a condition is key, she adds. "The simplest thing you can start with is repetitive sit-to-stands. You ask your dog to sit and you give them a treat. They do a little bit of muscle contraction and strengthening with their glutes and their quads, the muscles down their legs there. But we could do that repetitively. With a senior dog, you can't do too many, but maybe you could do three and then a treat, take a break. Do that three times and it's like using squats for humans," Oxtoby said. "We are going to tap into some acupressure points. They are used with dogs as they get older. There are some calming points. You don't need any fancy type of tools, it's literally just the end of your finger. You can even take a ping pong ball, because it adds a very symmetrical pressure." She says the classes, while based in Chinese acupuncture techniques, feature tips you can take home with you.